I’m standing on a worn wooden floor, marked with dents and silvery grey streaks. Two walls of this large room are lined with floor to ceiling mirrors, and the outside wall is covered in large picture windows. It’s an unusually warm spring day, and I can feel sweat on the small of my back from the warm-up. I snap my heels together à la Dorothy Gale, and the steel taps on the bottoms of my shoes click pleasantly. The sound blends in to the other clicks around the room as the rest of the class fidgets between songs. We fumble our way through the steps the first time but improve on subsequent tries. Hey, I think to myself, pleased, I think I’m getting the hang of this! Immediately, my body tenses and my brain leaps into overdrive, rapidly speeding through the steps I just barely learned. In the mirror, I can see stiff legs–where my knees should be bent–and wide eyes. The music starts, and we stand through the intro, listening for the beats. Because tomorrow is National Tap Dance Day*, I cannot help but remember this invaluable lesson I learned while tap dancing. When learning something new, it’s so easy to think, “I’ve got this!” in practice and then choke when it comes time to perform. Remembering to breathe may not help you remember everything you need to perform, but it sure does help keep you calm. Moreover, you can actually enjoy the task at hand–even if you mess up!–a whole lot better when you aren’t cutting off your oxygen supply. For a perfectionist (in some areas), this is a hard lesson to hold close to my heart. I so want to do well in all my endeavors, to impress those around me, and to earn their approval. I want that affirmation! (Don’t we all?) So when I feel my body stiffen, when I start holding my breath, I force myself to breathe–deeply. And then I remember the Lord of the Dance, whose feet moved through these steps before me. Then, even if I misstep, I can keep dancing with joy. *Traditionally on NTDD, folks perform the Shim Sham Shimmy, which is a much loved tap dance with choreography known the world over. There are a few regional differences, but regardless of where you’ve learned it, you can dance along with someone else and do just fine. Even swing dancers know it! 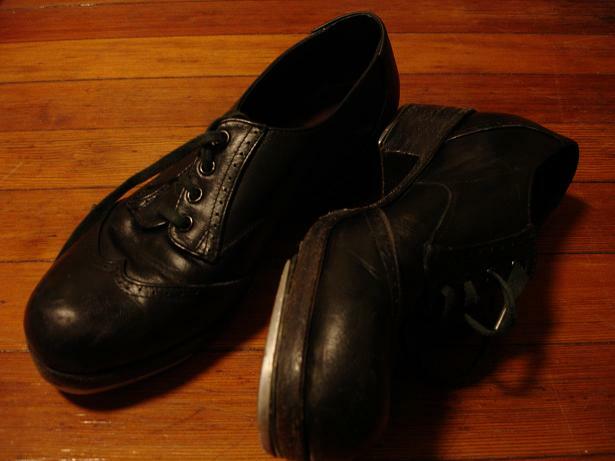 Above is an example of a group performing it–on a National Tap Dance Day, no less–and below is a breakdown of the steps, in case you’re interested in learning it yourself. 🙂 Tap away and remember to keep breathing! This entry was posted in fear, grace and tagged dancing, fear, grace, National Tap Dance Day, remembering to breathe, Shim Sham Shimmy, tap dance by Ellayne Shaw. Bookmark the permalink.